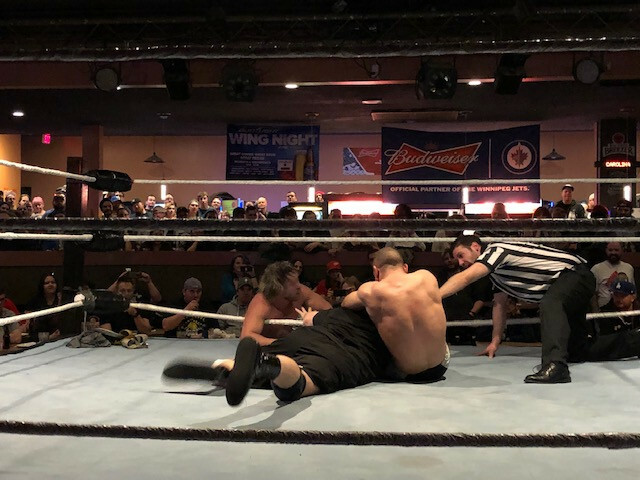 Winnipeg’s longest running professional wrestling promotion made worldwide headlines after the 17th Anniversary Spectacular on Saturday night. Premier Championship Wrestling wowed a vociferous sellout crowd on the heels of a nationwide Kenny Omega publicity blitz, as the TSN documentary about his unique stardom in Japan rings aired to rave reviews. The annual Hall of Fame induction became an unexpectedly dramatic 6 Man Tag Team battle with Omega and his cohorts confronted by the very crafty Vice-President of IMPACT Wrestling Don Callis, in a continuation of a feud that began with Callis ruining Omega’s in-ring birthday celebration last October. 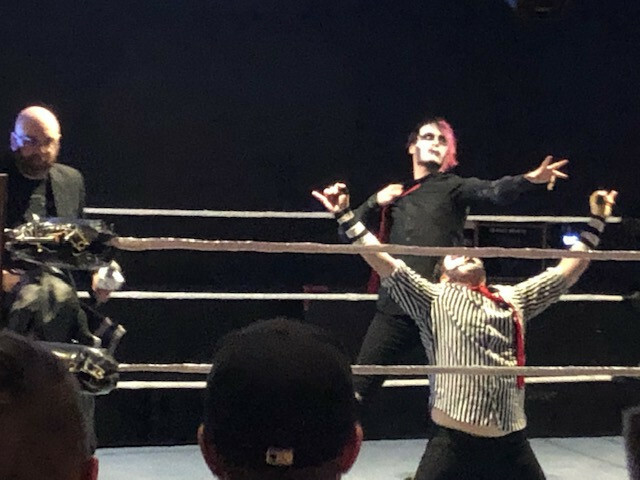 The event opened with the London Brothers, with a change to My Chemical Romance attire and attitude, wildly cheered to victory against the Alberta pairing of Jack Pride and SeVen. 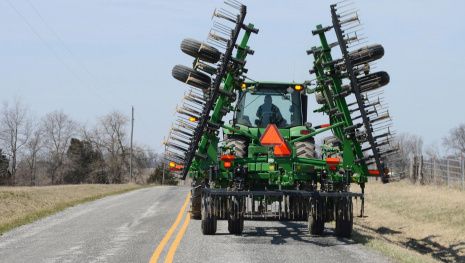 JL Spiker has some outside help from a new pro-USA entourage to finish off a game Dragneel before burying him under the Stars and Stripes. 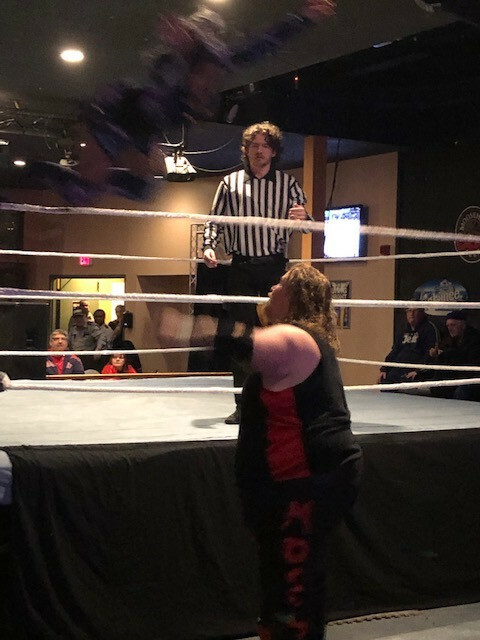 Celebrating her birthday and eager to have a match, Miss Emma Blake was confronted by the German Juggernaut Moses Luke who found the diminutive dynamo a handful before flattening her to end the bout. 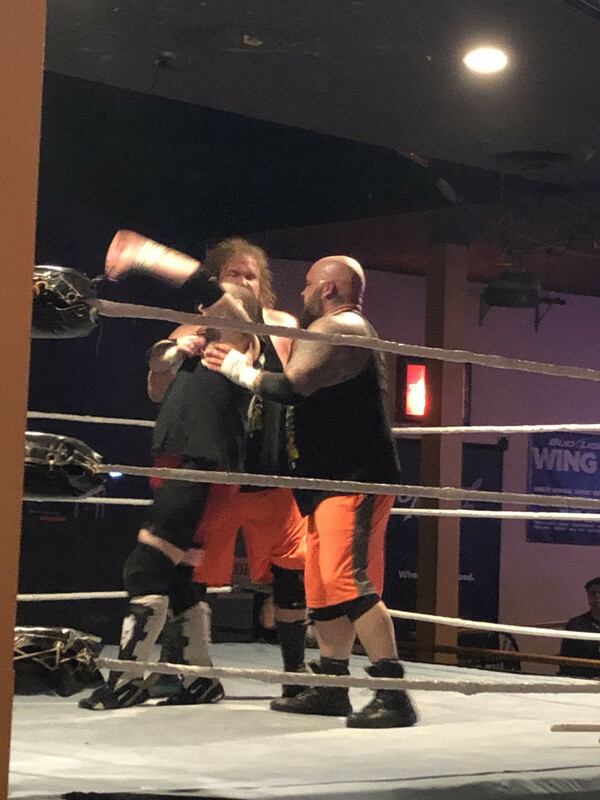 Hard hitting action spilled out of the ring in a tag team grudge match that pivoted on Luke doublecrossing stablemate Robbie Royce. The Old School Wreaking Crew took advantage and vanquished Royce and Anderson Tyson Moore. The win cemented Outlaw Adam Knight and Darren Dalton as top contenders for any duos title in the country. 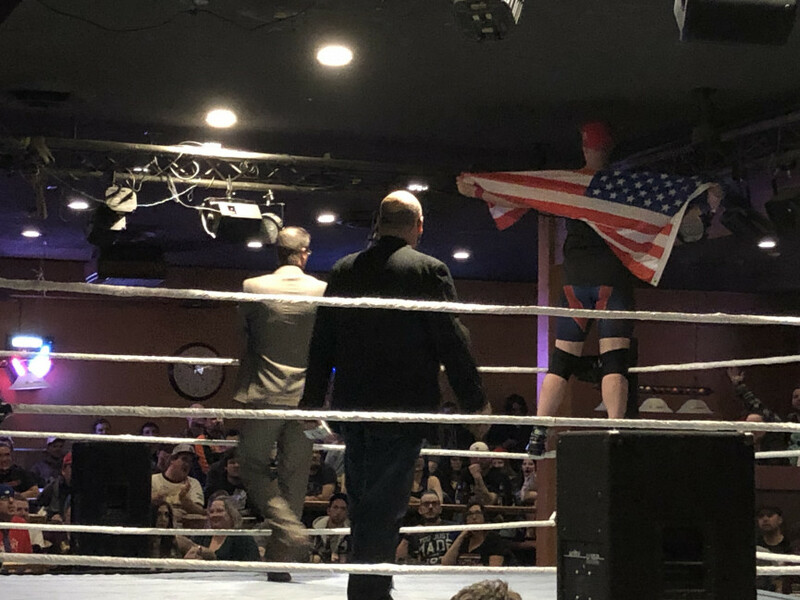 A surprise visit at intermission from Tom Manos, whose venue The Lid was the scene of a majority of the documentary video of the early career of Omega, resulted in promoter Andrew Shallcross inviting Manos to introduce the Hall of Fame ceremony and bring Omega out to make the formal presentation. Manos and Shallcross talked proudly about Omega rising to the #1 slot in the Pro Wrestling Illustrated worldwide rankings from such humble ‘indie’ beginnings. 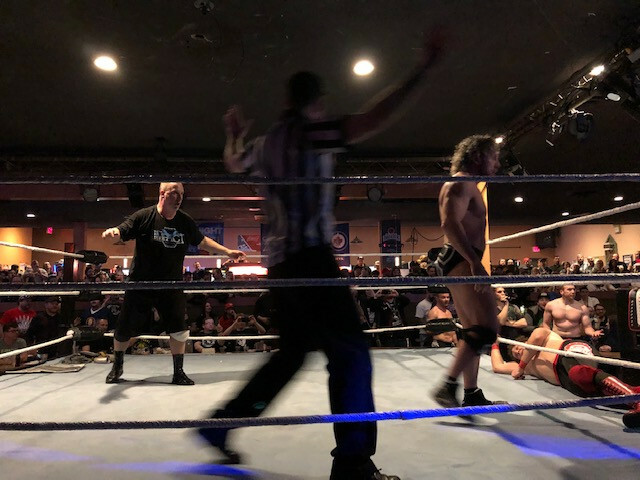 Omega, the former New Japan Pro Wrestling World Heavyweight Champion, was accompanied by his partner in “The Experience”, Chris Stevens, to award the trophy as the crowd exploded ; both were PCW originals with inductee Donnie Dicaprio. Upon mention by Omega of the dastardly insults and physical attack in October, the old ECW theme blasted out. 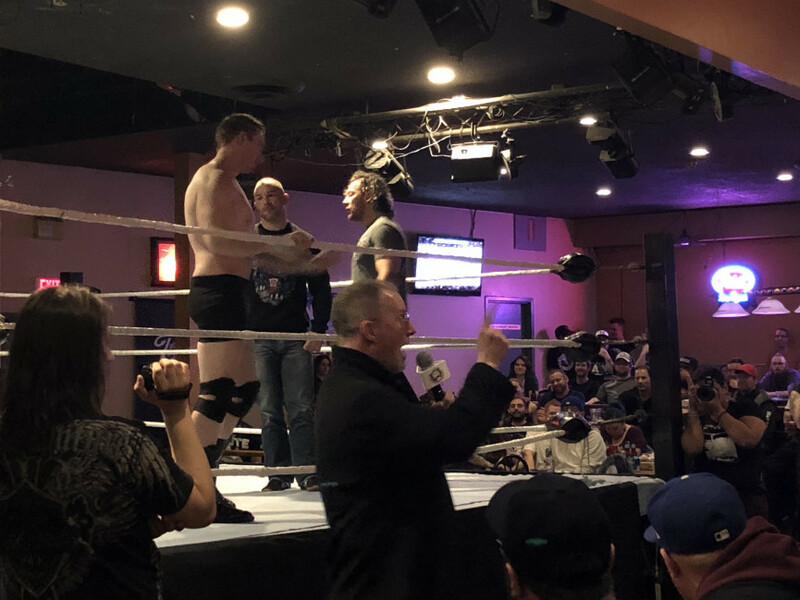 Callis, straight from a Las Vegas flight after supervising IMPACT TV tapings for The Fight Network, strode out to further deride all 3 of his former students - and PCW fans in attendance - as failures. 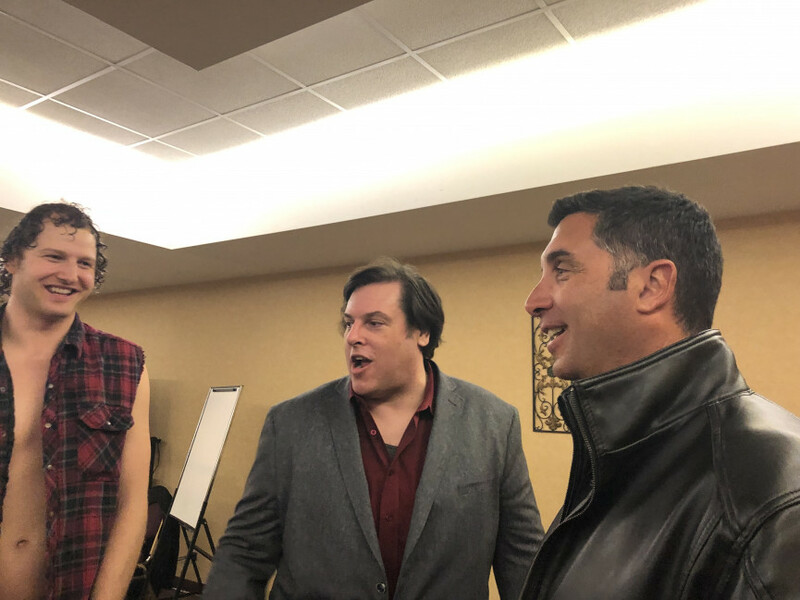 Callis professed to being willing to prove his superiority and despite not having been in a match since 2004 in Thunder Bay, he had selected 2 partners to join him for a 6 Man tag team bout. 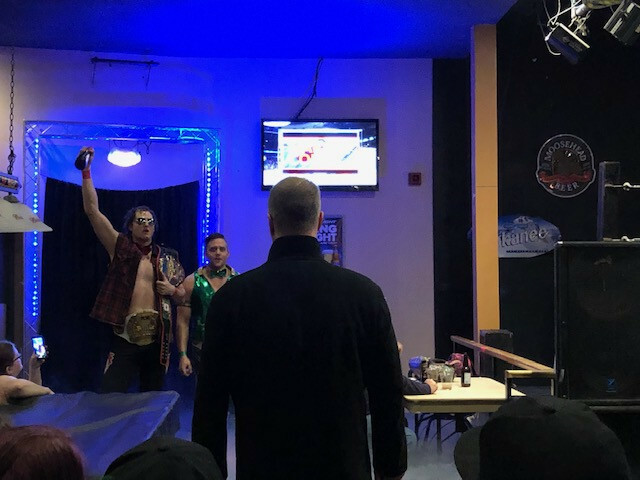 The crowd was stunned as fan favourites and PCW tag team title holders Sweet and Tasty (Bobby Schink and Travis Cole) saw an opportunity to advance their careers by siding with Callis for the occasion against Omega, Stevens and Dicaprio. 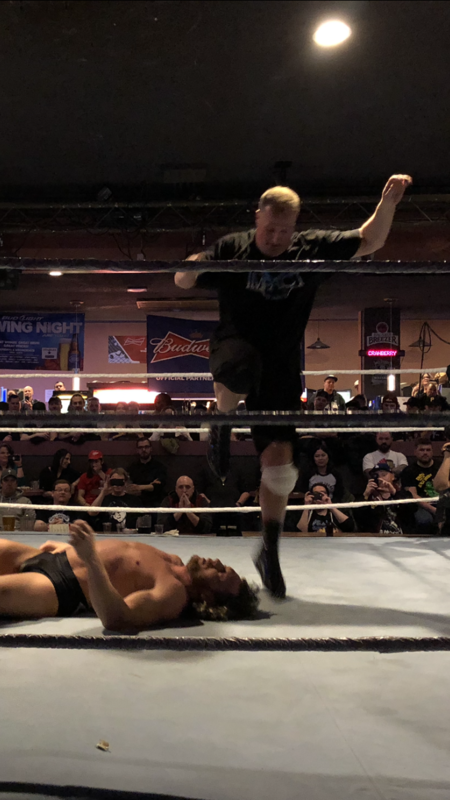 After strategically avoiding Omega, Callis waited for an opening and unloaded a Harley Race style kneedrop to Omega’s noggin. 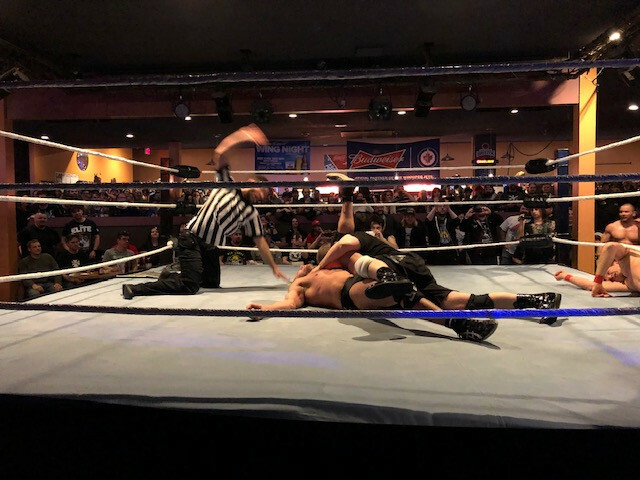 Dicaprio, a legitimate multi-sports star and top notch grappler, snared Callis in the crossface submission, and only a rope break saved Callis from an embarrassing defeat. With Omega’s team in firm control, another famous musical theme of a wrestler echoed throughout Doubles Fun Club. But while all eyes were on the entrance expecting Chris Jericho to enter the fray, it was a ploy by Callis to outsmart Omega. When Kenny turned around Callis nailed the Codebreaker, Jericho’s finishing move, and authored a shocking pinfall upset. 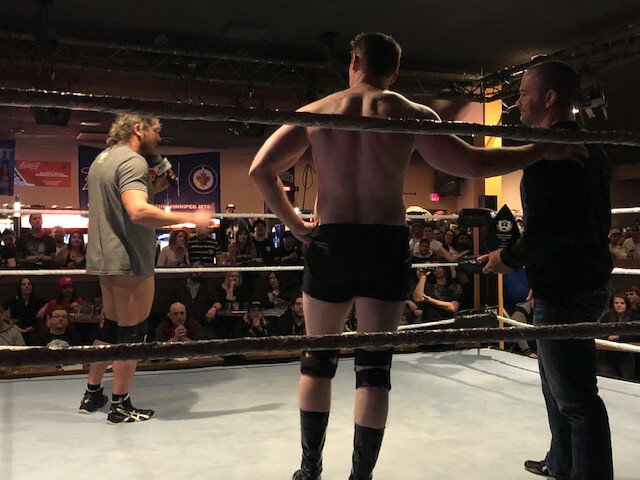 The rivalry is more than personal, as Callis asserts Omega made a big business mistake turning down a lucrative IMPACT contract to join All Elite Wrestling as an executive Vice President and star performer. With an AEW feature bout scheduled in Las Vegas for May 25 between Omega and Jericho, the wily Callis bragged how he had proven that Omega could be beaten if Jericho hit the Codebreaker. 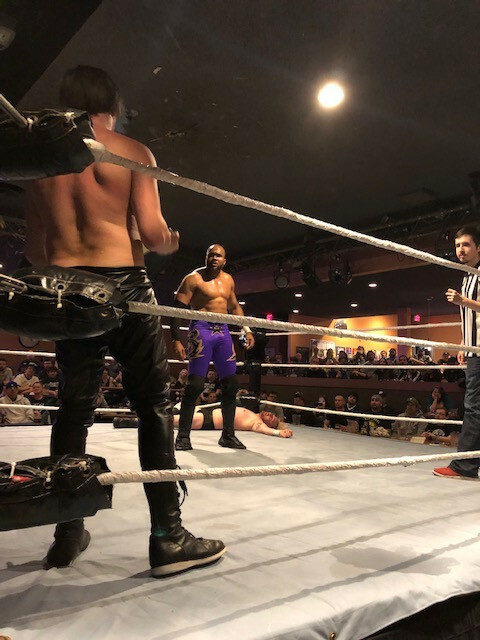 In the windup match, Antonio Scorpio got past challengers Alix Vanna and Jay Walker to retain the PCW Heavyweight belt to the satisfaction of the PCW faithful.